My interest in flying got started in the early 1980's when I went on a few flights with my friend from Cranston, RI, Len Ruppert, who worked at one of my favorite haunts - Heath Electronics. He had his pilot's license and needed to get flights under his belt, so I went flying with him. I lost touch with Len in 1984, when I moved to Florida, so Len, if you find this, send along an email! 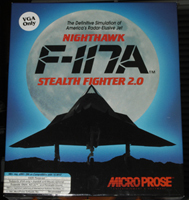 I first got interested in flight simulator software back in the early 1980's, with a flight simulator program for my Timex/Sinclair ZX81 in 1982, and Flight Simulator II for my Radio Shack Color Computer (Coco). 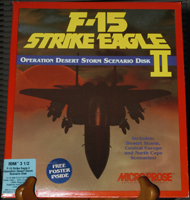 Later, in the Windows world, I got into Micropose's Strike Eagle II, and then got the Operation Desert Storm scenery add-on for it. 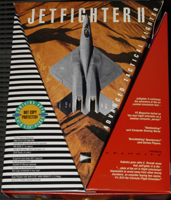 There were two or three other flight simulator programs that I got, but then life simply got too busy and that fun wained. 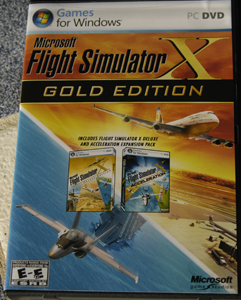 Now, in late 2012, I built-up a new faster PC, and once again got the urge to enjoy some flight simulators, so I picked up Flight Simulator X, Gold Edition, on a recent trip down to Cambridge, MA and MicroCenter. I have almost immediately gotten the bug to create my own scenery files. Probably enhanced by the fact that I work as a CADD Technician for an engineering company's aviation division. So, I am planning on creating scenes for Brunswick Executive Airport, KBXM, in Brunswick, Maine. My thoughts for BXM are to start with the original runway configurations, including the light-than-air (LTA) mooring masts. Hopefully, I will be able to find an LTA aircraft appropriate to the 1940's timeframe. I will keep these tasks updated on this webpage, as well as making the scenery files available here for free download, with links to other resources created by others, to complement my work. 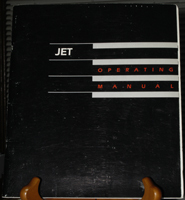 The latest flight simulator program that I have purchased. Click here to view some videos that I have made of FSX. The videos are in 1080p HD format, and were created using the undocumented AVI recorder in FSX. 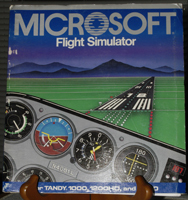 This was one of my first flight simulator programs. It was originally produced by Bruce Artwick's company, subLOGIC Corporation, in 1979, for the Apple II platform. Other platform versions followed, 1980 - TRS-80; and 1982 - IBM PC. The version that I purchased for around $50 in 1985, was the Tandy 1000 version, Radio Shack's part number 26-5379. A real-time flight simulator program. The simulation considers 35 important aircraft characteristics and includes an out-the-window three-dimensional dynamic flight display and extensive flight controls. Flight Simulator features detailed graphics that closely simulate a pilot's actual perspective. Flight instruments look and behave like the real thing. The "world" is more than 10,000 square miles and encompasses the entire continental United States and extends into Canada, Mexico and the Caribbean. The "populted" world consists of four areas and includes more than 80 airports. Winds, clouds, time of day (for dawn, day, dusk and night flight) and navigation aids are also included. In "easy flight mode", you fly in optimal conditions and use only the primary flight instruments and controls. Select "reality flight mode" to simulate more sophisticated flight factors. in either mode, you can add environmental conditions, such as wind, time of day and turbulence. In addition to the easy and realistic simulation modes, it includes the WWI Ace war game, which lets you test your dogfighting and bombing skills. Also runs on the Tandy 2000, Tandy 1200 HD, and the IBM PC and PC Compatibles. for the Radio Shack Color Computer. Sporty's is proud to offer a wide variety of products to bring training into the home or flight school. With controls from CH Products, Logitech/Saitek, or Redbird you can build the perfect system for you. Avion Flight Simulator ™ 2015 is a sophisticated flight simulator that includes 12 planes, 4 detailed cities, and over 9 airports. 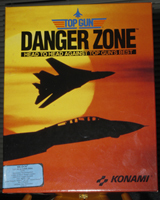 The player can fly anything from single-engine aircraft to jumbo jets, with idealistic to realistic flight simulation experience. Flight Simulator X (FSX). Flight simulator software. To place the G430 and G530 to the screen, open the pop-up for G-430 and G530 in your Flight Simulator and place them in their right spots. The Panel Mask also includes Audio panel, Transponder, G430 and G530 spots (see notes for details). DJI Flight Simulator is a Windows-based, pilot training program designed for enterprise users. Discover more about the DJI Flight Simulator with specs, FAQs, video tutorials, guides, and user manuals. Learn more at DJI.com. With the entire world to explore and hundred of aircraft to fly from, you'll be hooked on ProFlightSimulator for a very long time. Join thousands of players now and see why this is currently the most all-inclusive flight simulator game in the market. So hop in, buckle up, and fire your engines! RC flight simulators - and why you should have one. A much-asked question! The truth is, RC flight simulators can give you a very realistic radio control flight training experience, all from the comfort of your own home. The world’s most advanced flight simulator. Never miss an update. Sign up for email updates below to get the latest X‑Plane news in your inbox. Sign Up. We will never sell or share your email address; we’ll only use it to send you X‑Plane-related emails. A set of webpages that I have prepared about flight simulator programs. 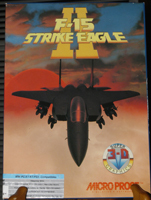 They range from Micropose's Strike Eagle II to Miscrosoft's Flight Simulator X (FSX). Also, I hope to include a fairly good profile of FSX links to scenery and aircraft development.